Peleliu (or Beliliou) is an island in the island nation of Palau. 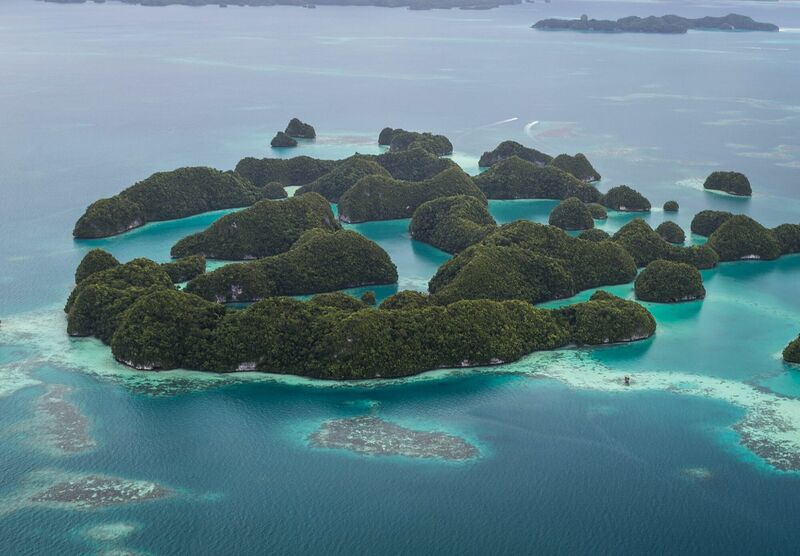 Peleliu forms, along with two small islands to its northeast, one of the sixteen states of Palau. The island is notable as the location of the Battle of Peleliu in World War II. First sighting of Peleliu, Babeldaob, and Koror recorded by Westerners was by the Spanish expedition of Ruy López de Villalobos at the end of January 1543. They were then charted as Los Arrecifes ("The Reefs" in Spanish). In November and December 1710 these three islands were again visited and explored by the Spanish missionary expedition commanded by Sargento Mayor Francisco Padilla on board of the patache Santísima Trinidad. Two years later they were explored in detail by the expedition of Spanish naval officer Bernardo de Egoy. Following its defeat in the Spanish–American War, Spain sold Palau (including Peleliu) to Germany in 1899. Control passed to Japan in 1914.